Colouring can be a very reflective activity and the imagery of this story really lends itself to pictures. 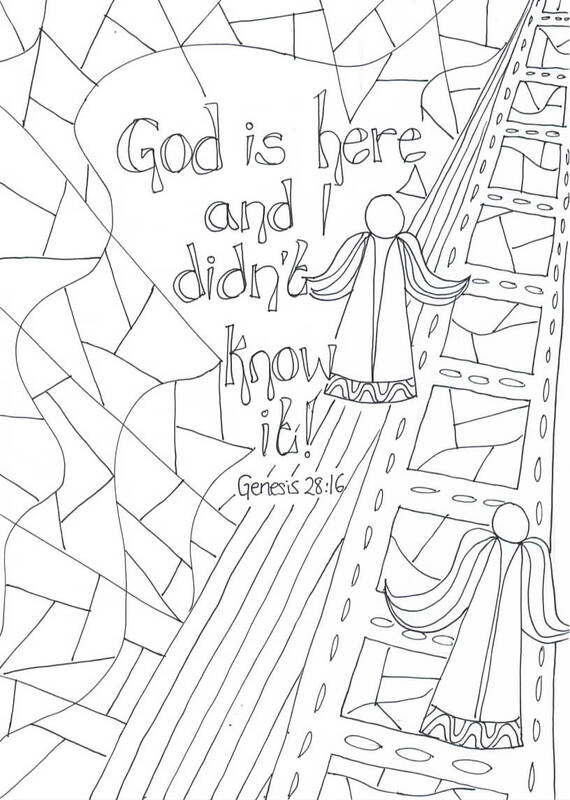 Here is a colouring sheet to help children to focus particularly on the concept of God being with us even when we don’t realise it. Give your own testimonies about when this has happened in your life and then see what the children have to share- be ready to be amazed! While the children colour speak to them about their experiences and reflections. Who might they want to pray for so that that person comes to know God’s presence with them? Click here to print off the sheet and enjoy reflecting!